BlogcompanyNever Clean Your Commercial Kitchen Grease Filters Again! Never Clean Your Commercial Kitchen Grease Filters Again! Wouldn’t it be great if your staff never had to clean nasty, greasy filters again? This may sound too good to be true, but it’s a possibility with AAA Fire Protection’s commercial grease filter exchange. Many insurance companies have identified overly-greasy filters and hoods as a primary cause of dangerous kitchen fires, making this maintenance a requirement if you want to stay in full compliance with state and local codes. However, this task is one that your teams likely shy away from on a regular basis — putting off the cleaning and replacement of filters simply because the job is so time-consuming and messy. Fortunately, our teams have the important task of filter cleaning and replacement down to a science! Even the cleanest commercial kitchens have a great deal of grease floating up into the baffles. Grease buildup in these areas is known to be a number one cause of commercial kitchen fires, which can be incredibly damaging both to physical assets and to your staff or customers. The longer you go between cleanings or replacement, the most likelihood there is that you’ll experience an expensive fire in your kitchen. Taking down your filters, cleaning them and replacing them can take your staff hours — hours that are not spent cooking, performing other maintenance activities or cleaning the cooking space. Regularly cleaning your grease filters will allow you to provide a cleaner and friendly working environment, reduce the risk of receiving non-compliance fines and decrease the possibility of a serious fire in your facility. Additionally, you’ll scale down the amount of grease that is washed down your drain, which can save you long-term plumbing headaches. Time passes incredibly quickly when you’re busy, and before you know it, you may find out the hard way that your business is no longer in compliance with building codes that require a specific schedule for cleaning and replacement of grease traps and filters. There are thousands of other details that go into running a successful business. Instead of keeping track of yet another ongoing item, our team provides you with the peace of mind that you deserve. We proactively define a cleaning and replacement schedule that fits with your unique business requirements. Grease can build up much more quickly than you realize, especially when your business is doing a significant amount of business. Grease filters are an essential part of your fire prevention strategy and are critical to reducing your overall fire liability. 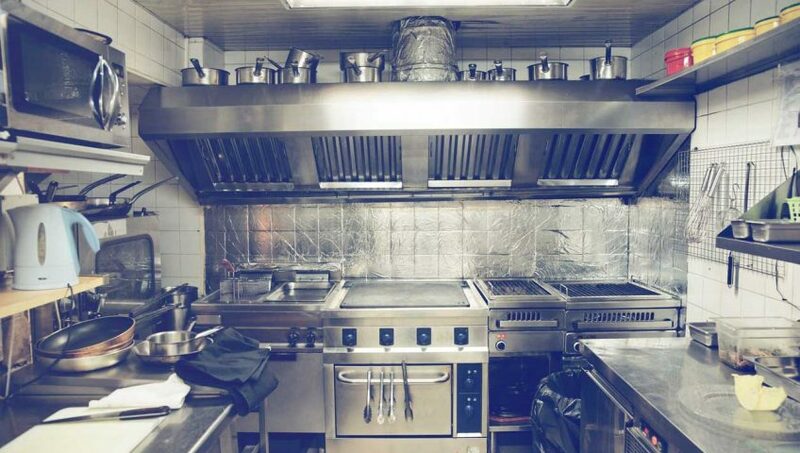 Remove the nagging worry about keeping the grease out of your commercial kitchen’s filters, with the added bonus that you also don’t have to remember to give us a call when it’s time for a replacement or cleaning. Contact our professionals at 855-778-7807 today to learn more and get started.